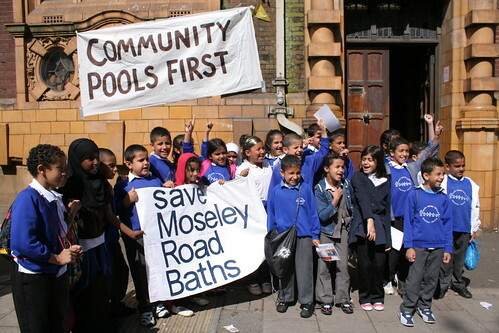 The full restoration of Moseley Road Baths will cost millions, which the Council does not have. A phased approach has been recommended and the first phase involves bidding for Heritage Lottery funding. The proposed scheme will tackle the external repairs of the building, structural problems and will keep pool 2 open for swimming. Birmingham Conservation Trust have been commissioned by Birmingham City Council to find out what Heritage activities the local community would like to see taking place in the building during this first phase of restoration (up to 2018). 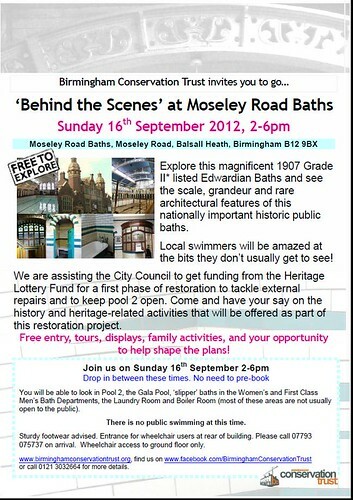 To help swimmers and residents make their decisions on the building, there will be an event at the Baths on 16th September, 2-6pm, which includes tours, displays, family activities and of course opportunity to complete the survey. 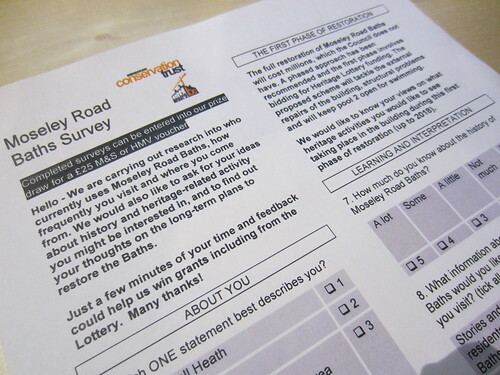 You can also get copies of the survey at community venues around the area, including Balsall Heath Library. 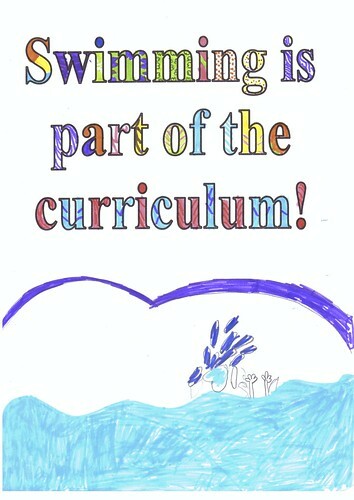 If you complete the survey you will be added into a draw to win a £25 voucher for Marks and Spencer or HMV. 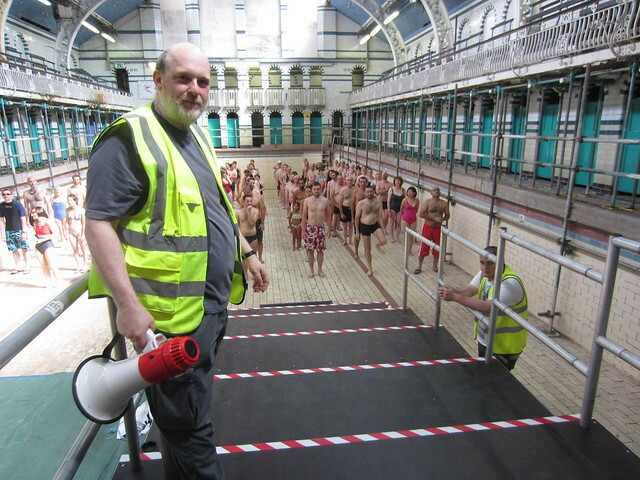 At todays Cabinet meeting it was agreed to set aside £3million in the future capital fund, to be used as match funding in a Heritage Lottery Fund (HLF) bid for phase 1 of the restoration of Moseley Road baths. This is a significant development, since the success or failure of a HLF bid will turn on the level of match funding provided by the Council…..and this level of match funding will be looked on favourably by the HLF. This decision, now gives us the go ahead to start preparing our HLF bid, which will most likely be submitted in June. The total cost of phase 1 of the restoration works is £8million. With the £3million agreed by Cabinet today, this means we would apply for £4.99million from the Heritage Lottery Fund. With the bid under £5million, it will be considered by the Regional HLF Board. We have a far greater chance of a successful bid at regional level. If the bid was for £5million or more, than it would be considered at the national HLF board, where you are up against the Buckingham Palaces and Stonehenges of the World..
Any successful HLF has to go through two stages in the HLF process. If our bid was successful, then the earliest the HLF monies would be available is 2014. Complete re-wiring and new machinery (eg new boilers) for the pool. We would be particular keen to install a combined heat and power system in the boiler house. This would heat all the buildings along Moseley Road and help to regenerate this corridor. Pool 1 boarded over and used for community use. Phase 2 of the restoration would involve getting pool 1 back in use as a swimming pool. Estimated cost of doing this is £9million.